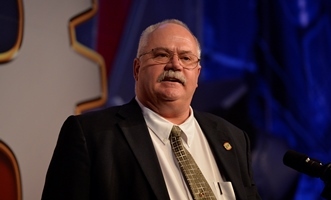 This week America’s Work Force Radio host Ed Ferenc invited IAM Organizing Department Director Don Barker to discuss the new direction the union is taking to organize new members. Click here to listen to the program. Barker’s segment begins around 18 and a half minutes into the show. Barker discussed some of the challenges the IAM is overcoming in the South, and in particular, at the Boeing assembly plant in South Carolina. Barker also talked about the progress made during the Obama administration through rule changes of the National Labor Relations Board (NLRB). Click here to listen to Barker’s interview.